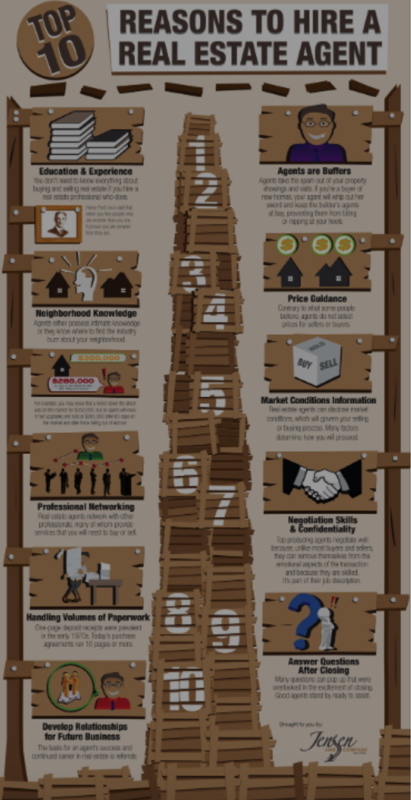 The job of a real estate agent is probably one of the most misunderstood occupations on the planet! Part of this confusion comes from the recent barrage of HGTV real estate programs that glorify some pretty dramatic and unrealistic real estate situations designed more to hook viewers than show a realistic example of the real estate profession. Frankly because the “real side” of real estate is not actually so glamorous! Actually being a real estate agent requires a significant number of skills to complete a wide variety of different tasks on a daily basis. Most of which are not that exciting! Trying to put what an agent does each day in one or two sentences is virtually impossible to do. It would be like trying to tell you what a chef does, “cooks food” or what a nurse does, “takes care of patients”. There’s a lot more that goes into what they do just like saying a real estate agent simply “helps people buy or sell properties”. If you were to give titles to the different jobs that a real estate agent does every day, week and month of the year, the list would look something like this: negotiator, nurturer, broker, problem solver, scheduler, client service expert, administrative assistant, coordinator, problem solver, liaison, transaction manager, sales expert, concierge, personal and business resource, action taker, doer and so much more. You can add anything to the list that a small business owner does to run and grow their business on a daily basis. Granted, a real estate agent may have people who work for them who do some of these jobs, but it’s the agent’s job to make sure things get done and get done well. A real estate agent has a workday just like you and me, but when and where they work is often dictated by who needs them and when. As a buyer, you’re going to want to be kept up to date on all the properties that meet your criteria as they come on the market. Agents monitor MLS activity for any listings and updates on properties that match what you’re looking for. Not only do they look at what comes on the market, but they also review what’s come off the market that didn’t sell to see if there are some unique opportunities for you that other buyers aren’t seeing. When an agent is busy, they are often fielding calls, texts and emails from prospects and clients on a regular basis. From getting back to inquiries on properties to handling contract negotiations and everything in between, agents are often getting pulled in a number of directions to make sure that the people they work with get excellent customer service. As well, because of the time-sensitive nature of a lot of what happens in real estate, agents have to get back to people quickly to make sure deals don’t fall through and to ensure that opportunities don’t get missed. There’s a tremendous amount of responsibility that comes with helping people with their biggest investment. Many days, the job often begins early in the morning and ends last the night before from managing emails and following up with people before bedtime. Granted, they’re in control of where they spend their time; however, sometimes things get hectic during the work day and need to be worked on in what other people would consider off hours. When you see a property you like, your agent will put together property itineraries for clients for your next house hunting trip. In many cases, this includes numerous showings over an hour or two. In addition to setting up the showings, the agent needs to set up a route that makes sense in light of when the homes can be shown. A good tour takes more planning than you would think. As well, there’s often not a lot of flexibility for when some homes can be shown and when buyers want to see properties, so being a good planner who is flexible is required of anyone who wants to be an agent. There’s a ton of moving parts in getting home tours scheduled so that it works out for the sellers and buyers. Good agents find a way to make it happen. Being a real estate agent is the only job on the planet where you start with neither product to sell nor prospects to sell it to. All you have is time and the agents who use their time best are the ones who enjoy the most success. To that end, there is a lot of time prospecting on the phone setting appointments to meet with sellers to list their home and buyers to help them buy a home. In addition to that, when a home goes under contract, there are appointments for meeting inspectors, appraisers and a variety of specialists, contractors, stagers, photographers and repair professionals. Here’s the thing. While agents go out on appointments and attend to all these meetings, they’re still fielding emails, texts and phone calls. It can get a little crazy for sure. Being a world-class multi-tasker is mandatory if you’re going to be a good agent. Unless they sell a home, real estate agents don’t get paid. To that end, they need to be in situations where they are negotiating offers and managing sales for their clients. Once an offer gets accepted and a property goes under contract, the work really begins for your real estate agent. In fact, their work is only done on a sale when the paperwork is signed and the keys to your new house are put in your hand. Before that, they — or someone on their team if they have one — needs to manage the multiple aspects of the sale all the way to closing. With so many steps that have to happen between the time you put the property under agreement and closing, so many things can go wrong that could derail the sale and kill it. From whatever side of the transaction they represent — buyer or seller — agents need to make sure everyone is fulfilling their obligations of the transaction in a timely manner. In addition to the buyer and seller, there is a co-op agent, a lender, a title company, a home inspector, a closing attorney and sometimes other people involved in the transaction. Agents need to check in with all of these people regularly to ensure that they are doing their job so things don’t fall through the cracks. When things get missed or forgotten, it can cost sellers and buyers thousands of dollars. It’s not a good thing at all. There are an endless number of tasks that agents must ensure get done from contract to close so that things come to a happy conclusion for both clients. No business can exist in a vacuum. Every agent needs to do advertising and marketing to let the people in their marketplace know who they are and what services they provide in the real estate business. Building a brand as an expert in the field of real estate is mandatory for any agent who wants to have staying power in the industry. The websites, newsletters, postcards, videos and other marketing pieces you see, in addition to the social media posts and custom property ads, take time, money and energy to create so your agent can get a stronger market presence and more clients. These are just some of the larger tasks that agents engage in every day. They are the CEO and employee all rolled up into one. They need to work on their business and in their business every day to make sure that they succeed. At the same time, they need to be great at sales and customer service so their clients are well cared for. The good ones do a great job and you know it from the moment you meet them. If you’re looking for a great agent to help you get access to the hottest listings in the area while taking great care of you, click here.